Going on a new diet presents quite a few challenges. Not only do you have learn what the do’s and don’ts of the new diet are so that you can follow it correctly, but you also need to make adjustments to the way that you used to eat, and that could be tough. This is why so many people fail to stick with a new diet when they give it a try. But if you incorporate the tips below, you can increase the odds that your new diet will stick. As you get to know your new diet’s rules, it is helpful to plan your meals in advance. So, for example, you could write out a weekly meal plan every Sunday and then go shopping for all of the ingredients that you will need for preparing meals throughout the coming week. In this way, you will know that every recipe you follow will be one that coincides with the requirements of the diet. A new diet that restricts certain foods could be tough to stick to, but if you focus on the benefits of the diet and all of the foods that are allowed, you could get far. So, for example, if the diet says you need to reduce your sugar intake, focus on all of the yummy fruits that you can have, rather than on the cakes that you can’t have. If you have found that diving into a new diet in the past has only led to failing to stick with it, consider easing into it gradually. So you might incorporate a few elements of the new diet while eliminating a few elements of the old diet. Little by little, you can progress until you’re following the new diet 100%. 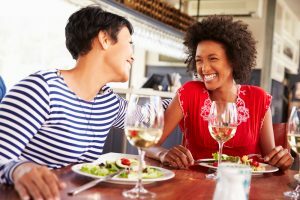 In the same way that a workout buddy could help you stay motivated when it comes to exercising, a diet buddy could also help you stay on track with your new meal plans. Whether it’s a spouse or a friend, telling someone about the new diet and then following it with them could help you motivate one another to stay fit. Finally, keeping a journal could be a very helpful tool when embarking on a new diet. By keeping track of your progress, including how you feel and how proud you are that you have come this far, you could continue being motivated to stay on track. Track everything, from the glass of OJ you have for breakfast to the diet pills you take.